The integration with Zoho CRM includes the ability to search for contacts, create/update Deals, and upload quote attachments to Zoho CRM. DataLink is supported. You can attach files to the Zoho Deal from the PDF Preview window, the Links tab, and the Print window. There is a button on the SoldTo/ShipTo tab to display the contact in Zoho CRM, and also a link on the links tab that you can click to view the Zoho Deal in Zoho CRM. Additionally, emails sent from QuoteWerks are logged in Zoho CRM history. The QuoteWerks integration to Zoho CRM is only available in the Professional and Corporate Editions of QuoteWerks. 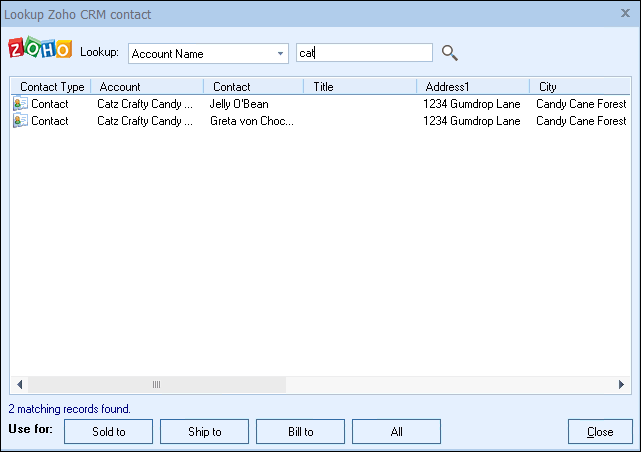 From the Sold To / Ship To tab of the QuoteWerks quote workbook, you can search Zoho CRM for an Account or Contact. 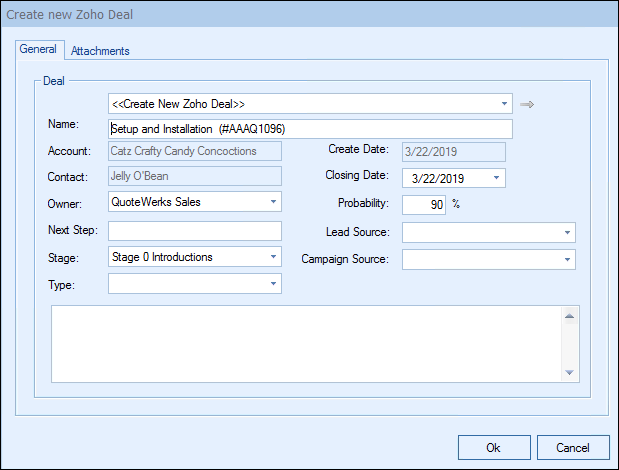 When saving a quote, QuoteWerks automatically creates a Deal (opportunity) in Zoho CRM. When you are in Zoho CRM, you will see the Deals and their sale amounts for each quote you have created for this contact. The Deal feature is very useful in determining your projected cash flow. 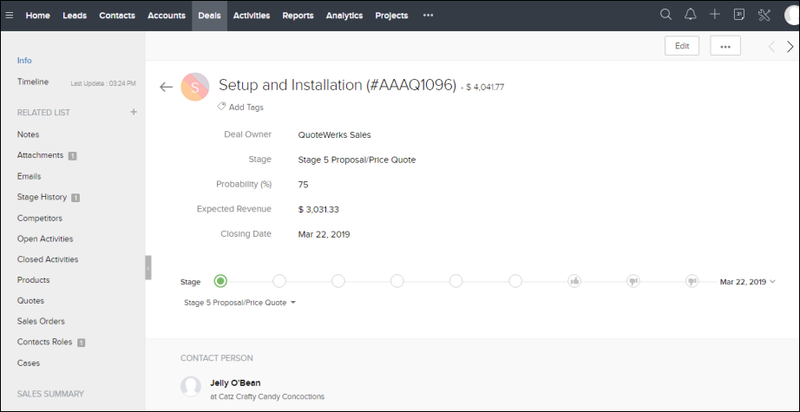 When saving a quote QuoteWerks automatically creates link a document under the Attachments section in Zoho CRM for the Deal that links to the quote you are saving. When you are in Zoho CRM and select the associated Deal, you will see all the quotes that you have done for this Zoho CRM contact. You can even double-click on the document links, and QuoteWerks will open and display the quote the link refers to. This feature is very useful for organizing and finding your quotes from within Zoho CRM.